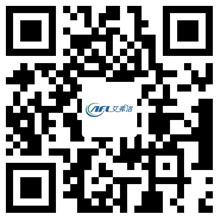 The Function of The Axial Fan is Controlling Temperature - Hangzhou Airflow Electric Appliances Co.,Ltd. Axial fans are actually classified as mechanical fans. A mechanical fan is defined as a machine designed to produce fluid in the fluid. Air is the most common gas, and the axial fan is created to move. The axial fan has an arrangement in which the air is pushed or pulled in one direction. The blade arrangement on the equipment hub is called an impeller or rotor. Most of these things are contained in housings or specially designed housings, which will help guide the airflow while protecting the blade from contact with other objects. The main purpose of these fans is in a structure within the climate or temperature control. The home fan sitting on the table is actually a mechanical fan, heating and cooling units within the electric product is also true. You may be surprised to find that these fans are also used in your vacuum cleaner to remove dust from the floor and carpet. This is called an axial fan because they force the air to move along the fan's axis or parallel to the fan's shaft. You can find them in small cooling fans for personal use and computer and other electronic equipment. These are also the type of fans you will find in the giant wind tunnel. The common design elements that make up one of them include blades, fan bases, leads, and armatures connected to the motor or unit. Almost always has a blade guard, a protective motor housing, an oscillator gearbox and an oscillator shaft. One end of the shaft of these devices will have an attached gearbox and the other end will attach the blade. There are many other types of equipment that can work according to the same principle or similar principle as an axial fan, but we found this type of fan in ceiling fans, cars and electronics to make it the first choice. You will find these units in industrial applications as well as in residential equipment. The world relies heavily on these items for daily life activities. Without them, we will be hard to work, control the temperature of our home, and even play video games and other things.